Samburu County Governor Moses Lenolkulal has been released on a Sh 100 million bail or Sh150 million bond after denying all graft charges leveled against him. 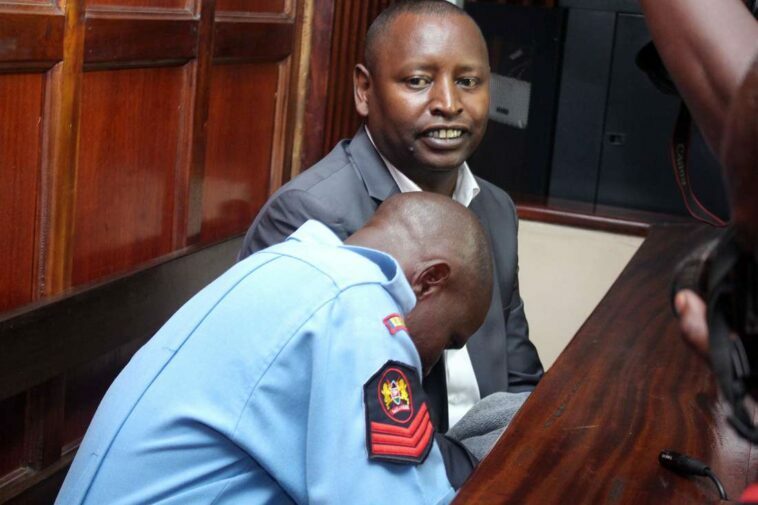 The governor, who was arrested on Tuesday by officers from the Ethics and Anti-corruption Commission (EACC), was arraigned in Milimani Law Courts before Anti-Corruption Court Chief Magistrate Douglas Ogoti. The county boss was arrested in the morning by EACC over Sh2 billion he is suspected to have looted from the county coffers. He was charged with four counts of abuse of office and conflict of interest leading to the loss of Sh84.6 million public funds. According to Haji, investigations established Lenolkulal was trading with the county government through Oryx Service Station for the supply of fuel since March 27, 2013, to date. The governor is said to have failed and or neglected to disclose his interest in the said service station. During the period in question, Oryx Service Station received a total of Sh84million from the Samburu County Government. “It is clear that the governor engaged in conduct that is expressly prohibited in law and in clear violation of the constitutional principles governing the conduct of public state officers,” Haji said in a statement on Tuesday morning. “Between March 27, 2013 and March 25, 2019, at Samburu County, being the Governor of Samburu County Government, you used your office to improperly confer upon yourself a benefit of Ksh.84,695,996.55 through Oryx Service Station, a business entity owned by yourself, through the supply of fuel to Samburu County Government,” read the charge sheet. The court further barred Lenolkulal from accessing the Samburu county government offices until the case is heard and determined. The post Breaking: Samburu Governor Lenolkulal released on bond, 100million bail or 150m bond appeared first on Kenya Today.